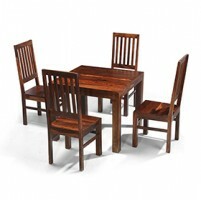 Dinner for four in luxury and comfort – we can't say fairer than that, can we? 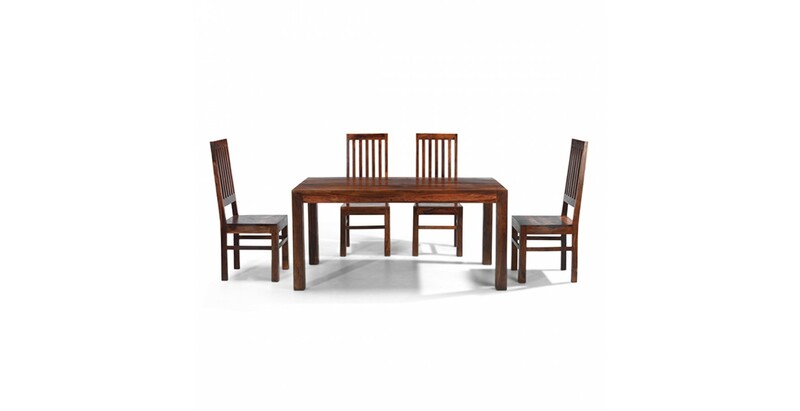 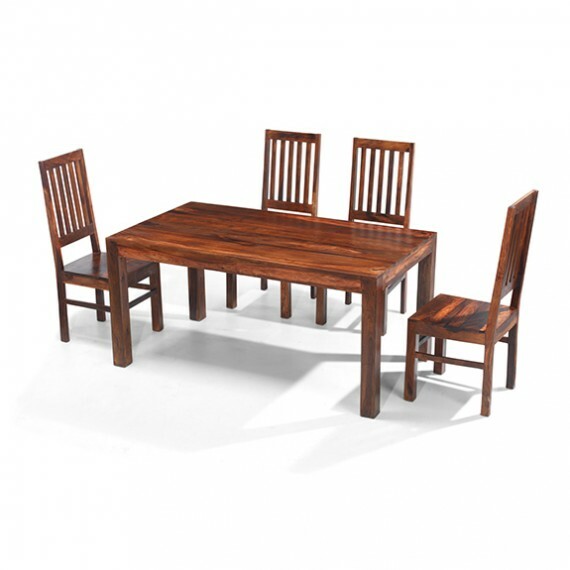 Handcrafted in India from sheesham wood , the table is then given a Wax Lacquer Finish to show off its unique grain and offer protection against the inevitable spills. 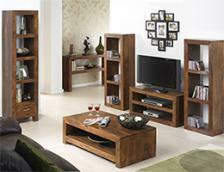 With its clean, modern lines and dark-hued warmth, it will look super-smart in any décor. 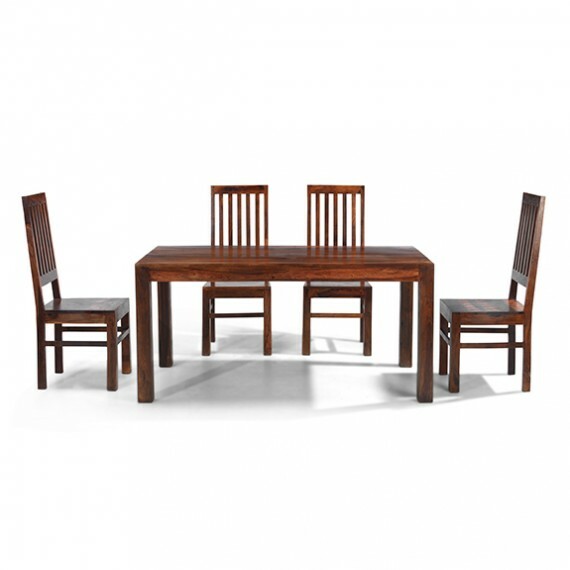 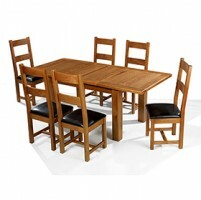 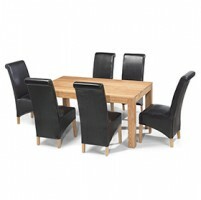 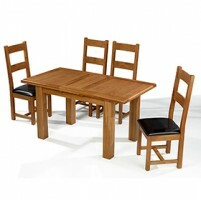 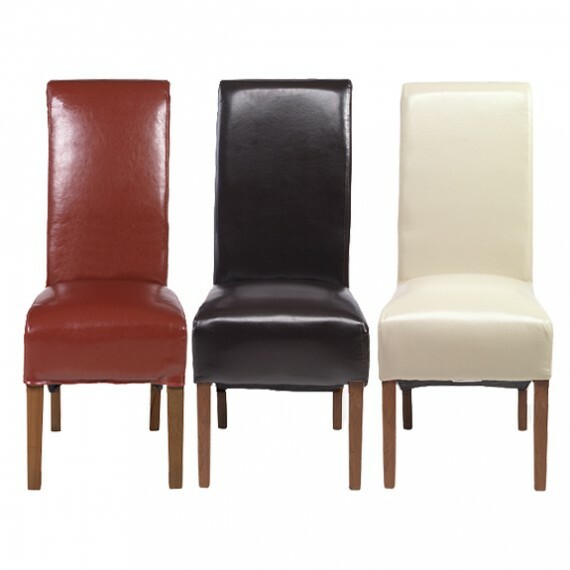 And to tailor it to suit your home perfectly, you can choose from one of five chair designs to go with it. 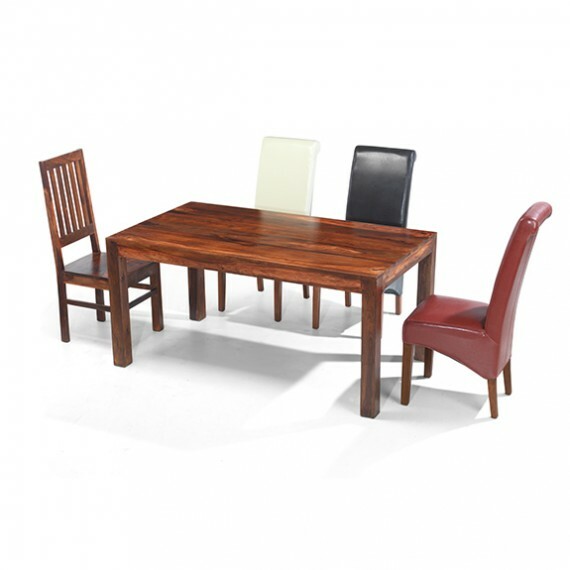 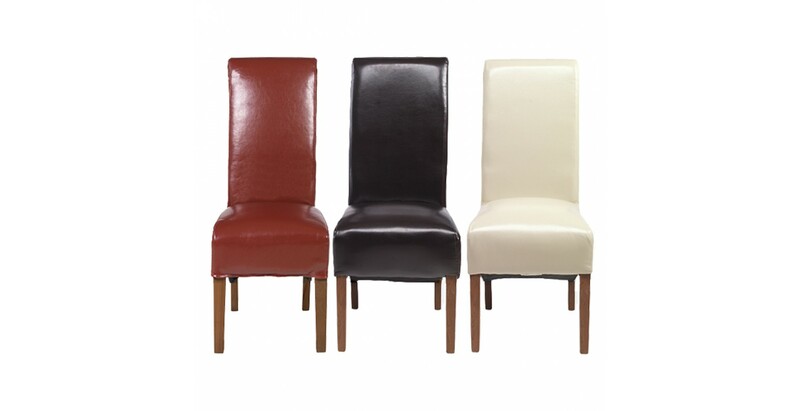 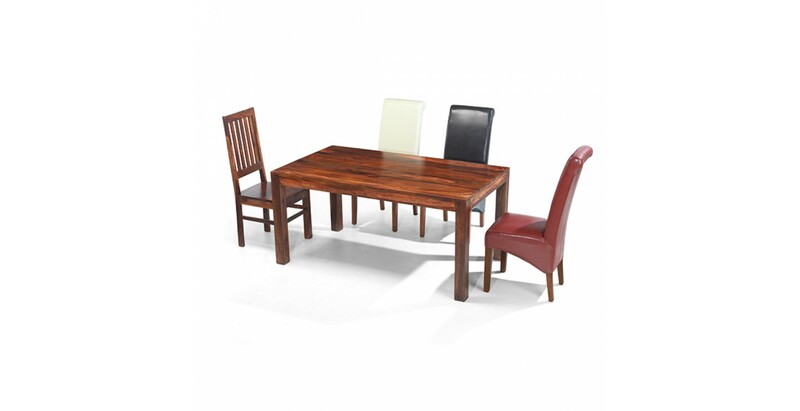 Pick either our brown, beige or red bonded leather chairs for supreme comfort. 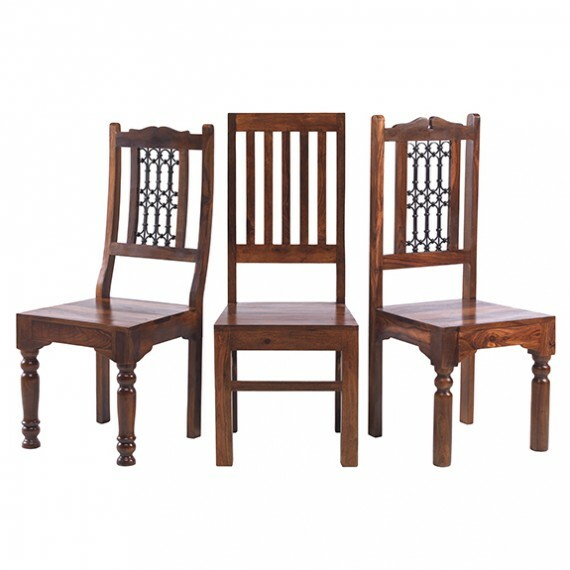 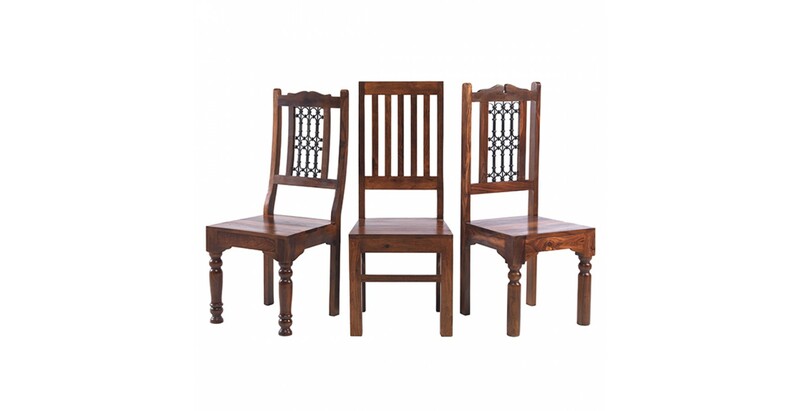 Or our Jali High Back and Low Back Ironwork Chairs if you fancy something a bit more traditional. 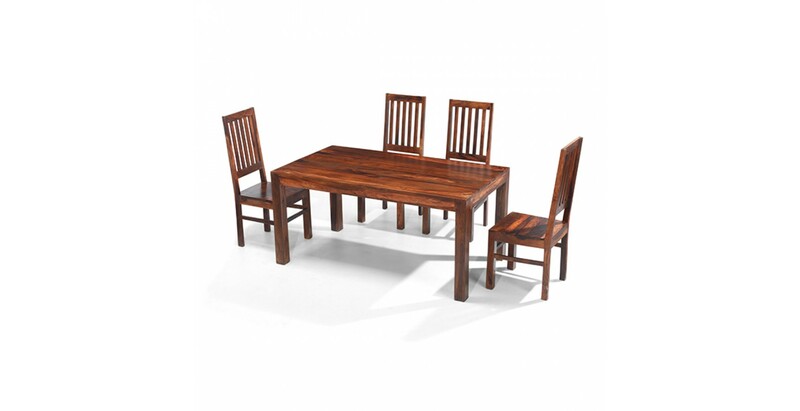 Or even our simple Cuba sheesham High Back Slat Chairs which provide the perfect complement to the table's clean-lined elegance.